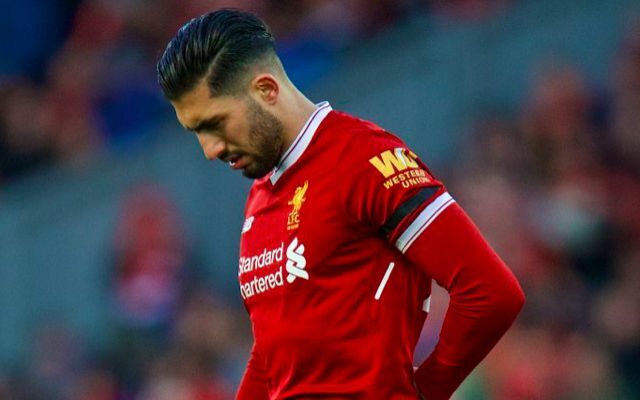 Jurgen Klopp admits his main issue with Emre Can’s move to Juventus was the failure to secure any financial gain in return. The German moved to Turin on a free transfer after seeing contract negotiations break down and allowing his Anfield deal to expire this summer. Talks over an extension for Can had started back in 2016, with an initial dispute over salary demands and Liverpool’s later refusal to insert his desired release clause evidently contributing to his departure. Whilst Klopp has denied any bad blood with the midfielder over his personal ambitions, the Liverpool boss has made no secret of the disappointment to lose him for nothing. “I have no problem with a player leaving,” Klopp told the Liverpool Echo. Can’s agreement with Juventus proved to be one of football’s worst kept secrets heading into the transfer window as speculation stirred a to and fro between an imminent exit and a renewed chance of him staying put. The somewhat surprise signing of Fabinho from Monaco soon served as glaring evidence it was a deal the Reds had known about for some time and prepared for in advance. What fans couldn’t quite comprehend was Can’s decision to leave a blossoming project in the process of restoring Liverpool as one of Europe’s elite forces. Such bemusement wasn’t a dismissal of Juventus’ undisputed credentials, but instead recognition of where the Reds had progressed to. Whilst signing Fabinho has replaced the physicality and athleticism lost with Can, the addition of Naby Keita has meanwhile compensated for the loss of his surging runs from midfield. Though it was a setback to see him go, Liverpool are well-equipped to pursue their Premier League title ambitions without him.